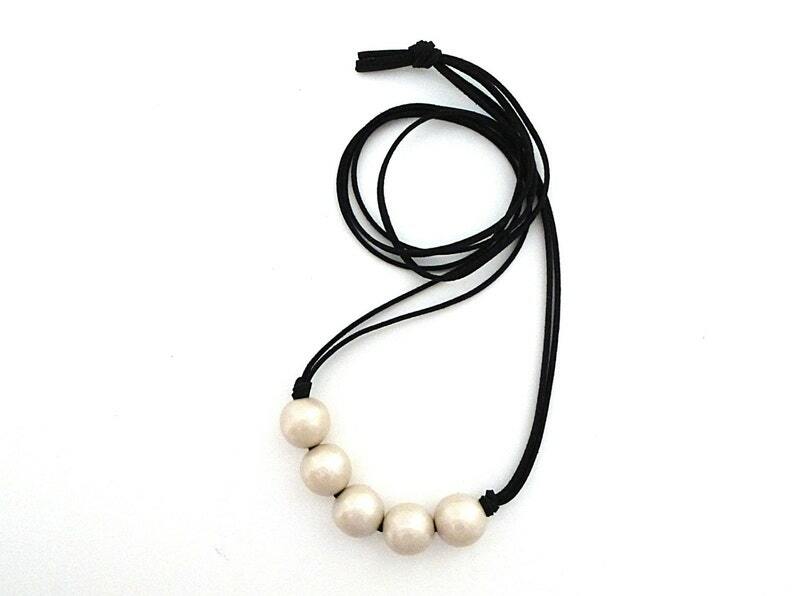 Cool metallic pearl and inky black make a pretty, neutral contrast in this easy to wear necklace. Chunky wood beads make a statement while remaining lightweight. Cute necklace! Fast shipment! Thank you! Unusual and attractive with summer black and white. I look forward to wearing it outnin public!